Imagine waiting three years for your one big opportunity. Then imagine knocking it out of the park on the very first pitch. 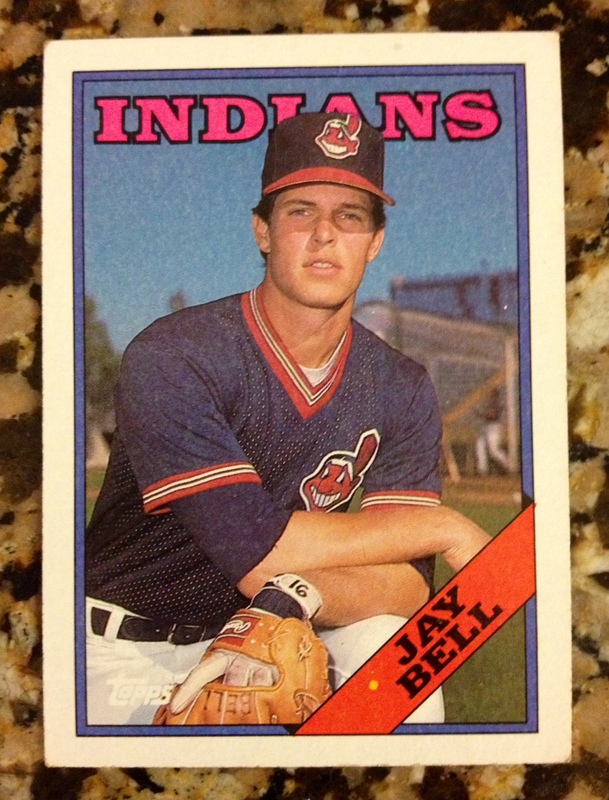 That’s how the first Major League Baseball swing played out for Cleveland Indians shortstop Jay Bell in 1986 when he connected for a homer off Hall of Famer Bert Blyleven in his first trip to the big league plate. It turns out that after being called up from the instructional league in September of that year Bell got some solid advice from future Indians manager Mike Hargrove, who advised the struggling hitter on the way to the airport to swing at the first pitch he sees as it would likely be a fastball. The irony was likely not lost on the baseball fans in attendance that day. After being taken with the No. 8 overall pick out of high school by the Minnesota Twins in 1984 Bell was part of a minor league package shipped to Cleveland in exchange for Blyleven. Cleveland also received pitcher Curt Wardle and outfielder Jim Weaver up front in the deal, and later pitcher Rich Yett. The man affectionately known as the Frying Dutchman would go on to help the Twins win a championship in 1987 just as Bell’s career was getting started. Can you imagine how rare it must be to hit a major league home run off of the first pitch hurled your way? The San Francisco Giants won World Series titles in 2010 and 2012 before missing out on the postseason a year ago. On Wednesday they returned in a big way with an 8-0 road win against the Pittsburgh Pirates for the National League wild card. The Pirates were playing in back-to-back postseasons after a 21-year playoff drought, but this time they barely put up a fight. Madison Bumgarner was dominant on the mound, pitching a complete game with 10 strikeouts. Brandon Crawford took the home crowd out of the game early when he hit a grand slam in the top of the fourth. The Giants outhit the Pirates 11-4 and looked every bit ready for baseball in October.